Rate this Article What's in store for you when you play these games? There are a lot of reasons why you should play horse racing games. It’s not only for the horse racing aficionado who is right at home in both the racetrack and in front of their computers. Yes, there are wagers made in this kind of games, but it isn’t that what makes the genre exciting? The biggest reason, however, is that there are plenty of thrills in this genre. 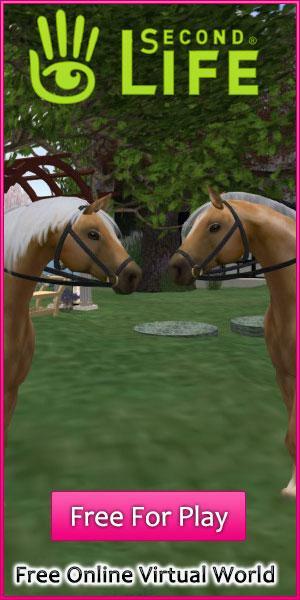 If you’re a thrill-seeker but you have almost no time to get out of the house for an adventure, then playing horse racing games like iHorse Racing 2 is definitely the best course of action for you. Just how thrilling are these games? Simple -- you have a wager placed on one or more horses. When the barriers are opened, and the horses start the race, the game is on! If your horse makes it to the finish line first, then you win all of the money that has been bet on that horse. That’s a lot of cash, whether in-game or real currency. That’s how you have fun in a horse racing game. If you wager, then there’s a lot of reason for you to stand up and cheer. It gets even more fun when the horses that you’ve bet in are nearing the finish line. You’d find yourself holding your breath and crossing your fingers as you silently wish for one of them to be the winner so you can collect the winnings at the end. Of course, racing is not the only activity that you can do in these simulators. There are others that let you take control of your horse’s performance so you can win more money from it. These games give you the capability of training your horse in various courses so that its performance in its next race will improve. You cannot just put your horse’s training to chance in these games. That’s because you cannot qualify for a higher-paying race if you don’t win in the qualifiers. So, in order to win in all of the qualifying races, you’ll have to do your best to get your up to winning condition. Even then, there’s still no guarantee that you will win. You can only do your best, and leave the rest up to chance. If everything is certain, after all, there’s no fun in playing the game at all. If racing is your only intent in playing the game, you could try Horse Racing. All you need to here is just pick the horses you want to put some money in and how much. After that, when the countdown reaches zero, all you can do is just sit back, cross your fingers and cheer as loud as you can for your horse to be the winning horse! You don’t even have to sacrifice anonymity and privacy with these horse racing games. You can play them online for free.